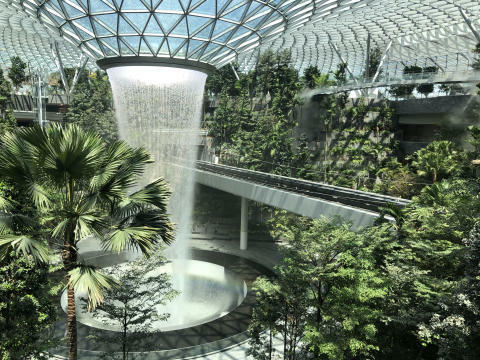 Don't miss the opportunity to get up close and personal with the majestic Rain Vortex and lush Forest Valley when Jewel Changi Airport opens. SINGAPORE, 7 MARCH 2019 – Jewel Changi Airport (Jewel), a multi-dimensional tourist destination, will open its doors to the world on 17 April 2019. Singapore residents will get to have a sneak peek of Jewel before the public opening. To be held from 11 to 16 April, the preview will be a ticketed event, but free of charge. Registration will open online at jewelpreview.com on 12 March, 06:00 am. Each member of the public can register for up to four participants. A total of about 500,000 tickets will be available. During the preview, which will run in four three-hour time blocks from 10:00 am to 10:00 pm daily, visitors will be able to explore various points of interest in Jewel, such as the lush greenery of the four-storey Forest Valley with two walking trails and take in the magnificent 40-metre Rain Vortex, the world’s tallest indoor waterfall. They will also be able to shop and dine at more than 90% of Jewel’s 280 shopping and dining outlets. When Jewel opens on 17 April, apart from the repertoire of exciting brands announced earlier, visitors can also look forward to the following anchors: the largest Nike store in Southeast Asia, Marks & Spencer, MUJI, ZARA, UNIQLO, Shaw Theatres with IMAX and FairPrice Finest with unique features such as exclusive products and specially curated sections and event areas. Five Spice, the food court operated by Food Junction, will also feature over 10 local brands, such as Faai Di by Ka-Soh and Fu Lin Yong Tofu, which have more than 20 years of culinary heritage. 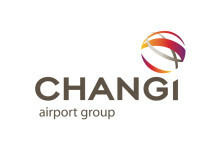 Changi Airport is well-served by public transport, and members of the public are encouraged to use the trains or public buses when visiting. Apart from the Changi Airport MRT station, there are several bus services operating at T1, T2 and T3. T1 is seamlessly integrated with Jewel via the Level 1 Arrival Hall, while T2 and T3 are linked to Jewel via air-conditioned pedestrian linkways. The new T1/Jewel car park, which opened partially in November 2018, will be fully operational from 11 April. The car park spans five underground levels from B2M to B5. Drivers should note that Basement 2M and 2 of the car park are meant for short-term parking, and the charges are 4 cents per minute for the first 90 minutes and $5 per 30-minute block thereafter. From 17 April, an Early Check-in Lounge, serving passengers of 26 airlines, and a left luggage service will be available for passengers. The Canopy Park and its attractions, situated at the topmost level of Jewel, will open in mid-2019. Refers to units that are at least 10,000 sqft in size. T1, T2 and T3 are served by bus services 24, 27, 34, 36, 53, 110 and 858. These airlines, operating more than 2,200 departing flights every week, include Singapore Airlines, SilkAir and Scoot. Image 1 - Don't miss the opportunity to get up close and personal with the majestic Rain Vortex and lush Forest Valley when Jewel Changi Airport opens. Image 2 - A look inside Jewel Changi Airport, a multi-dimensional lifestyle destination that is set to wow visitors come April 2019. Jewel Changi Airport Devt is the property owner of Jewel Changi Airport (Jewel), a world-class multi-dimensional lifestyle destination in Singapore. 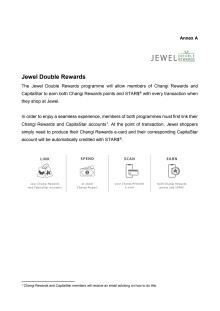 Jointly developed by Changi Airport Group and CapitaLand, Jewel is located at the gateway of Singapore. Designed by world renowned architect Moshe Safdie, Jewel will feature a distinctive dome-shaped facade made of glass and steel, making it an iconic landmark in Singapore. At approximately 137,000 sqm in size, it will offer a range of facilities including airport services, indoor gardens and leisure attractions, retail and dining offerings as well as a hotel, all under one roof.